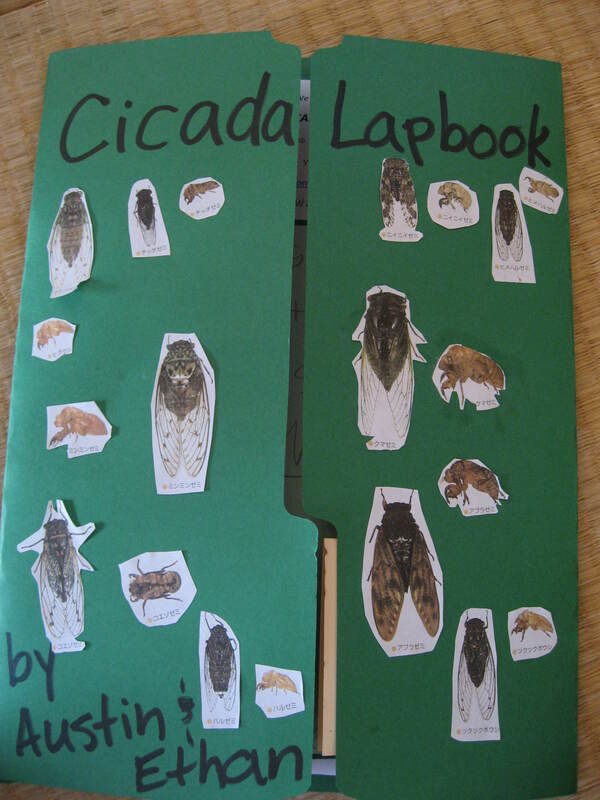 The most elaborate lapbook we’ve made so far was about cicada. 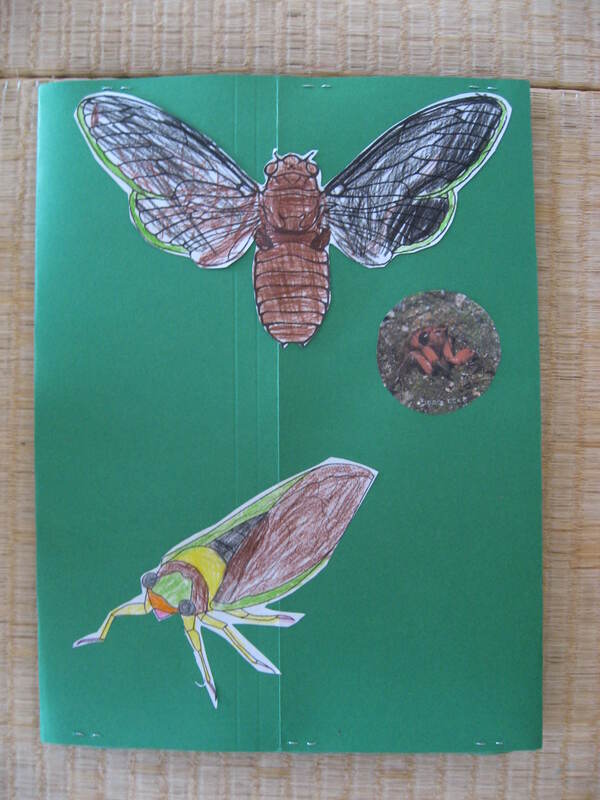 Every summer the cicada come out in full force in Japan and their cry is deafening if you are walking through a park or other area with lots of trees. 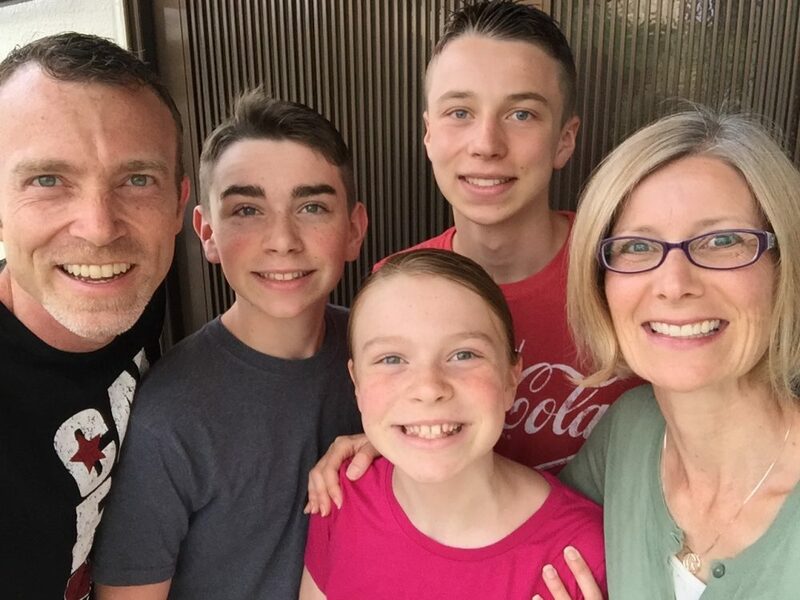 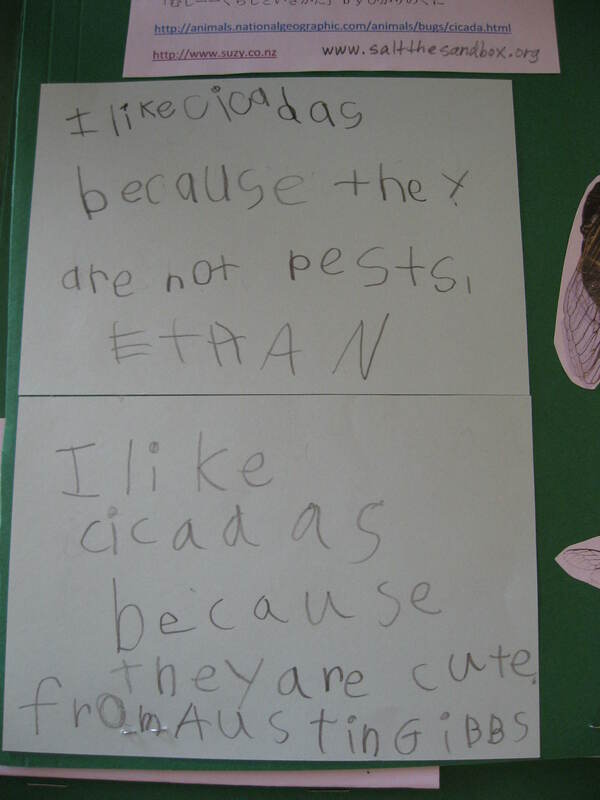 During cicada season, the kids and I enjoy going to Utsunomiya University to hunt for cicada in the trees or to look for their empty “shells” on the ground or in the bushes and trees. 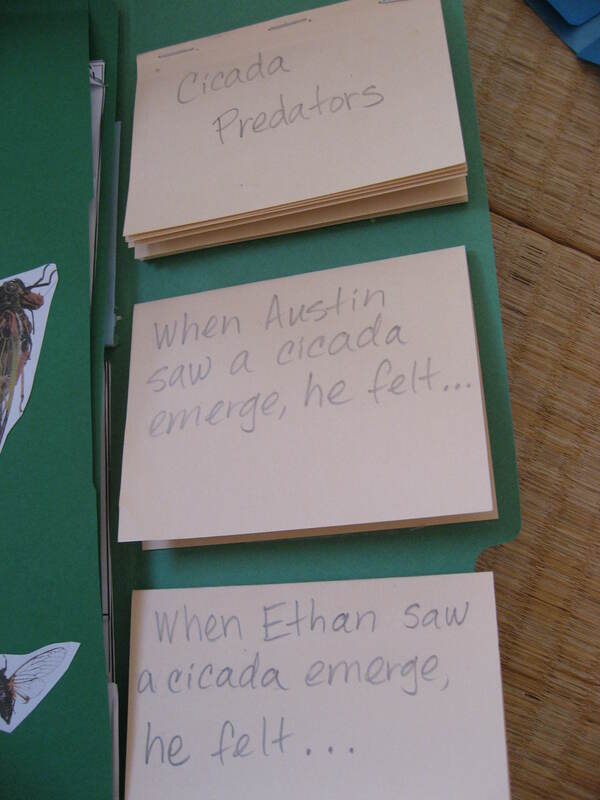 One night, Bryan and the boys were taking an adventure walk on campus with their flashlights and came across a cicada that was just starting to emerge from it’s shell. 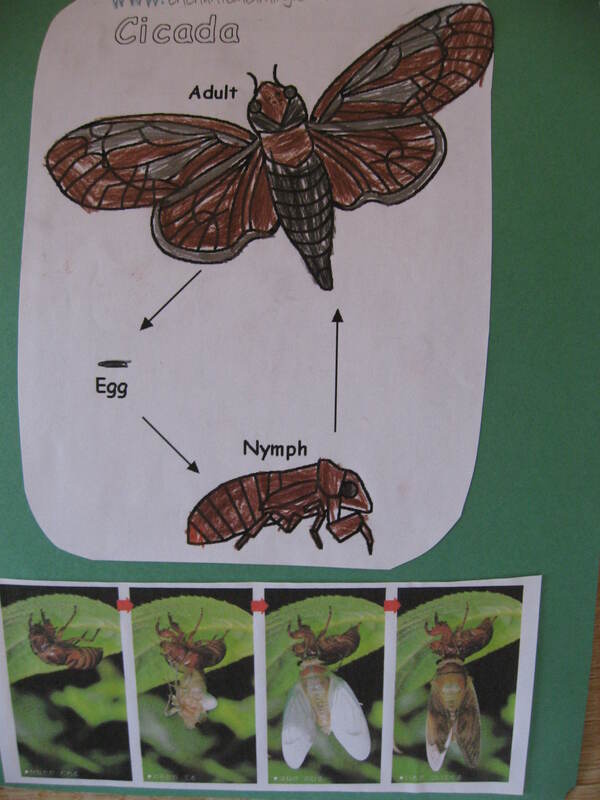 They took it home, put it in a bug tank, and we all got to watch it transform from a pupa to an adult over the course of a couple of hours. 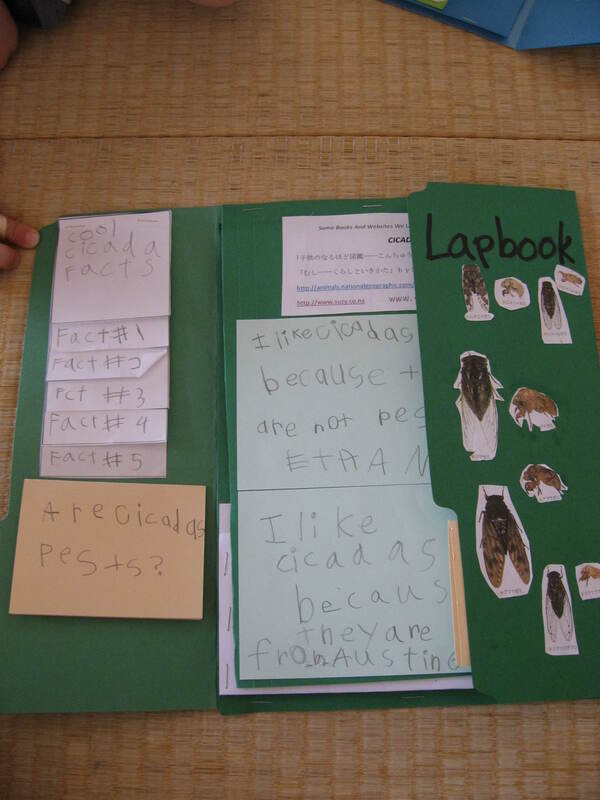 Through that experience, the boys became very interested in cicada and requested to make a lapbook about them. 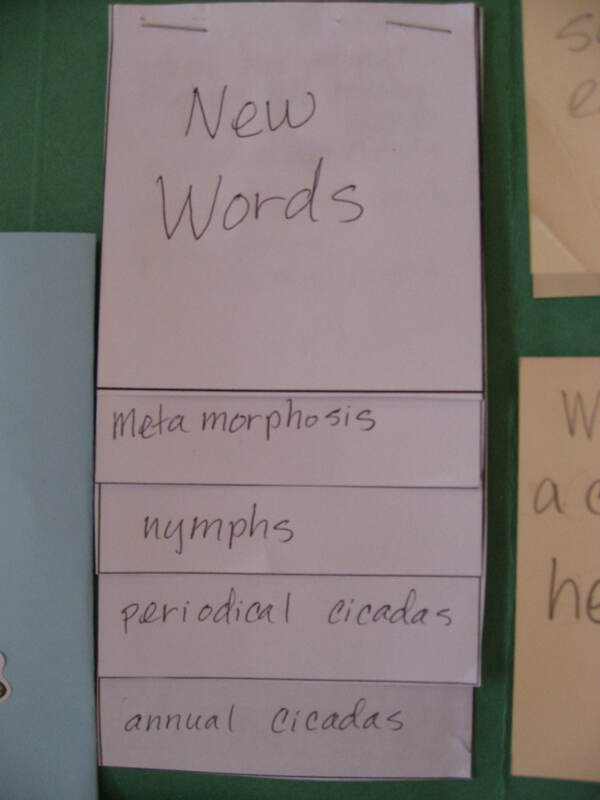 Here are some photos of our project. 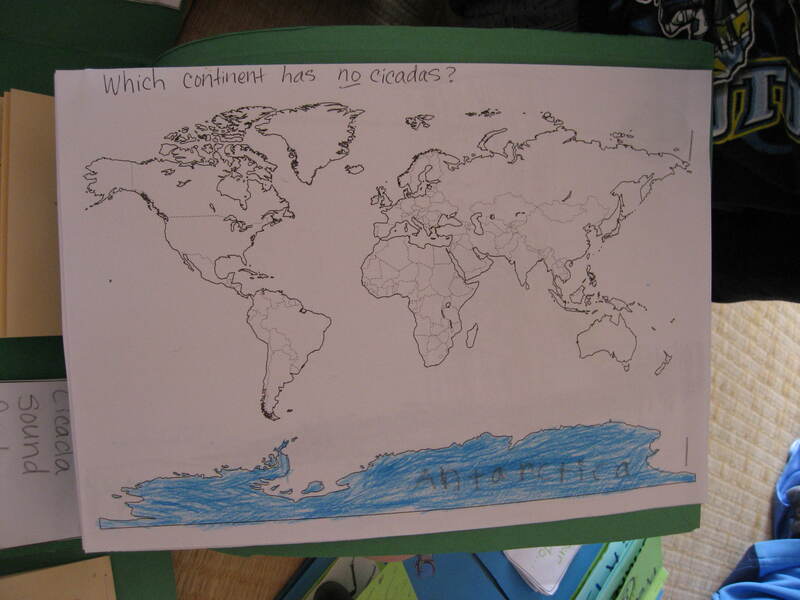 A map showing where cicada DON’T live. 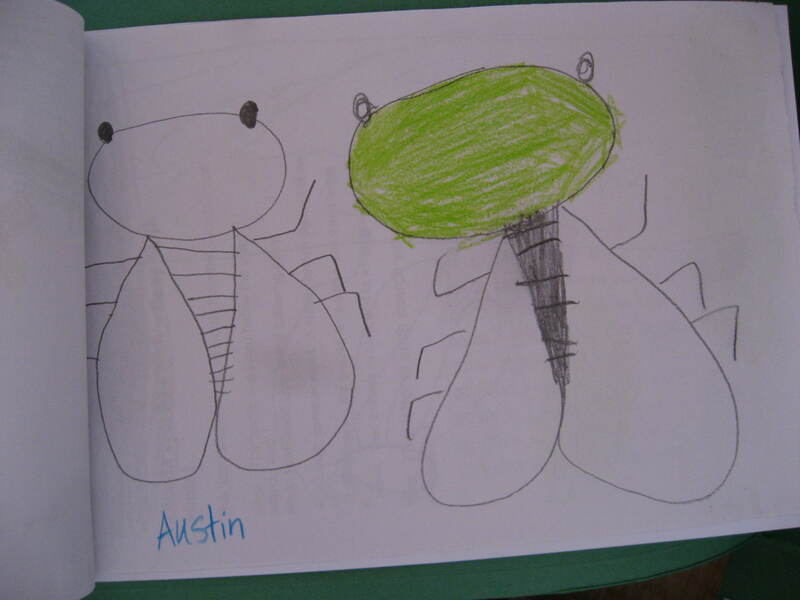 Ethan’s drawing of a cicada on a tree. 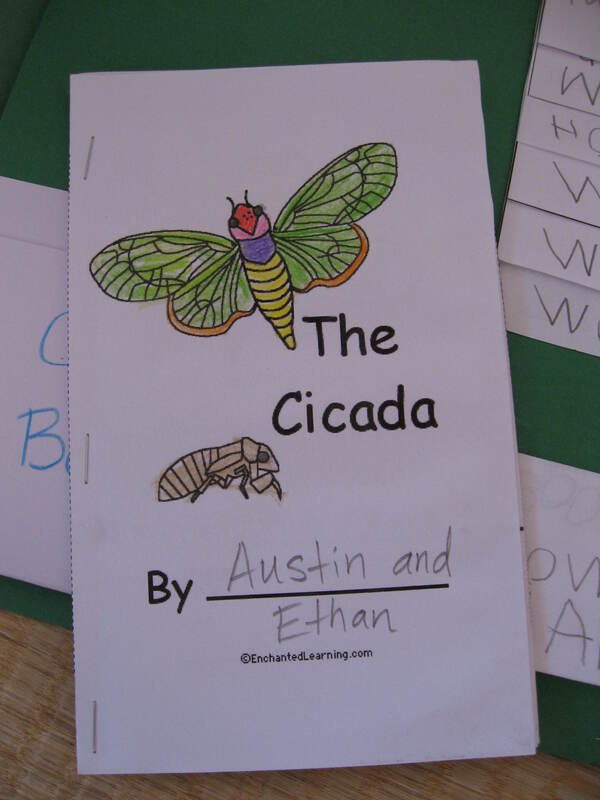 A mini book about cicada that Austin and Ethan put together and colored. 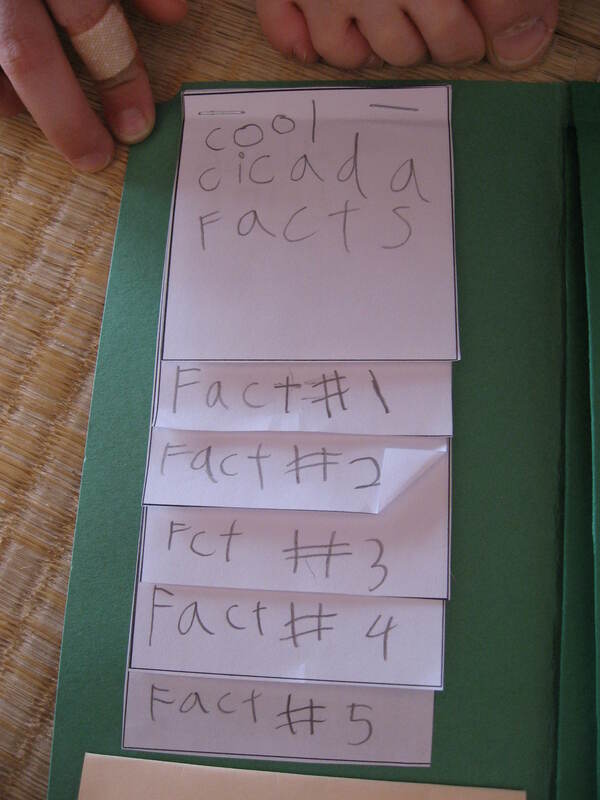 Showing all the pages opened up. 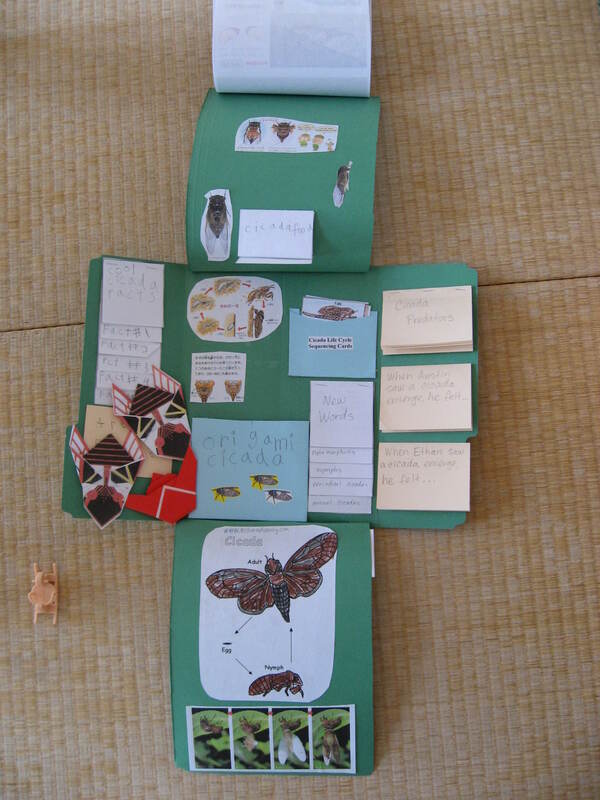 Lapbook contents, including origami cicada the boys made. 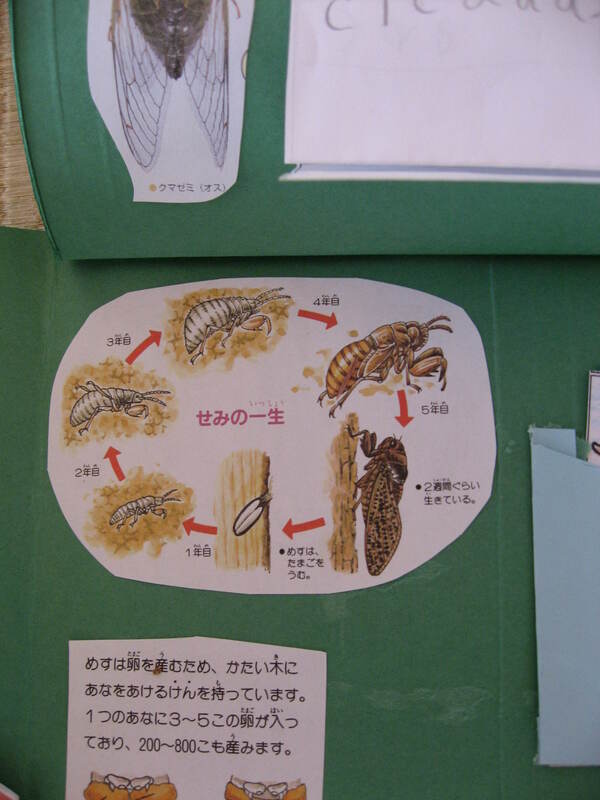 Cicada life cycle in Japanese. 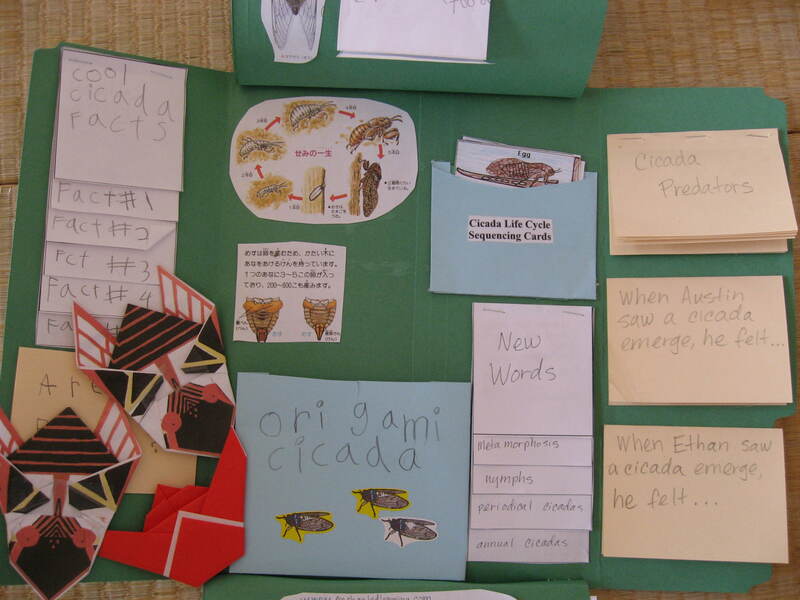 Cicada life cycle in English. 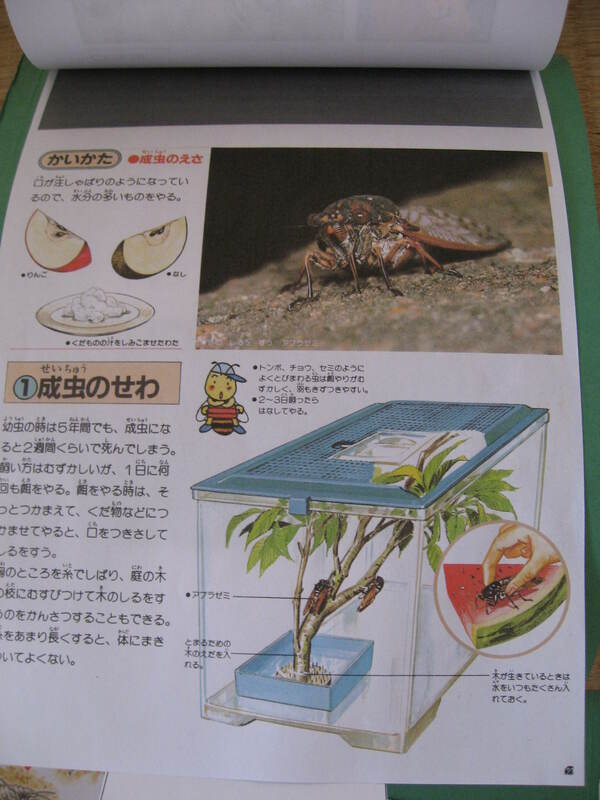 How to keep a cicada as a pet with instructions in Japanese. 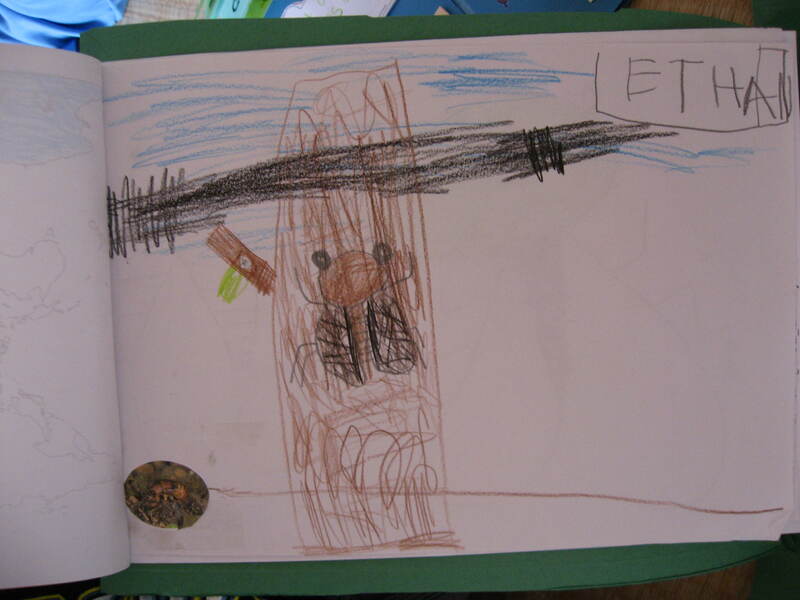 Back cover of the lapbook.